Help Support Our Annual Member Event! 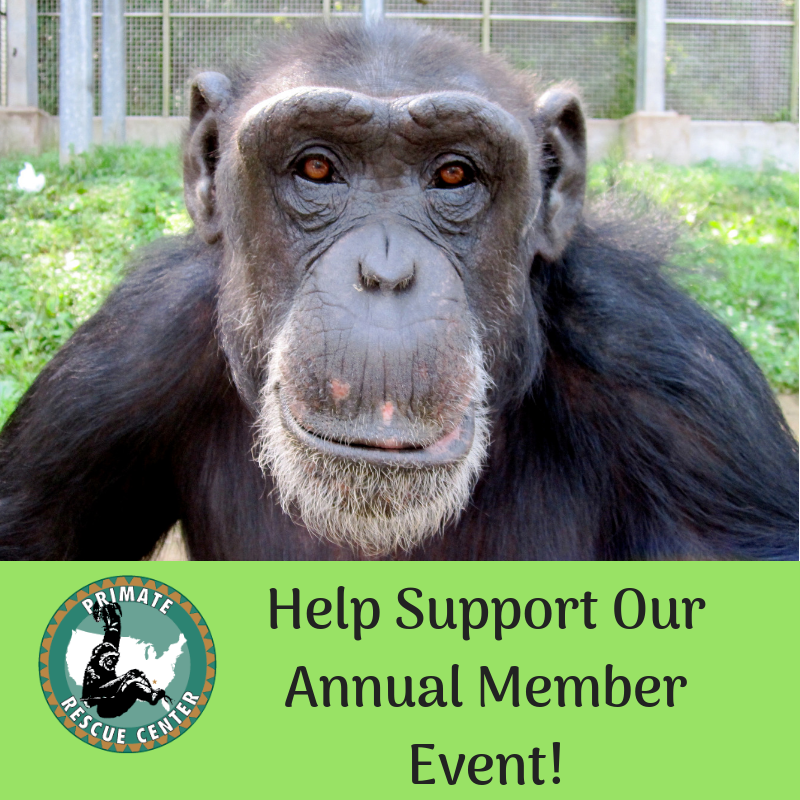 Each year, we invite our members to tour the sanctuary at our Annual Member Event. This event is our biggest fundraiser of the year and we need the support of our community to help make this event successful in raising funds for the primates. 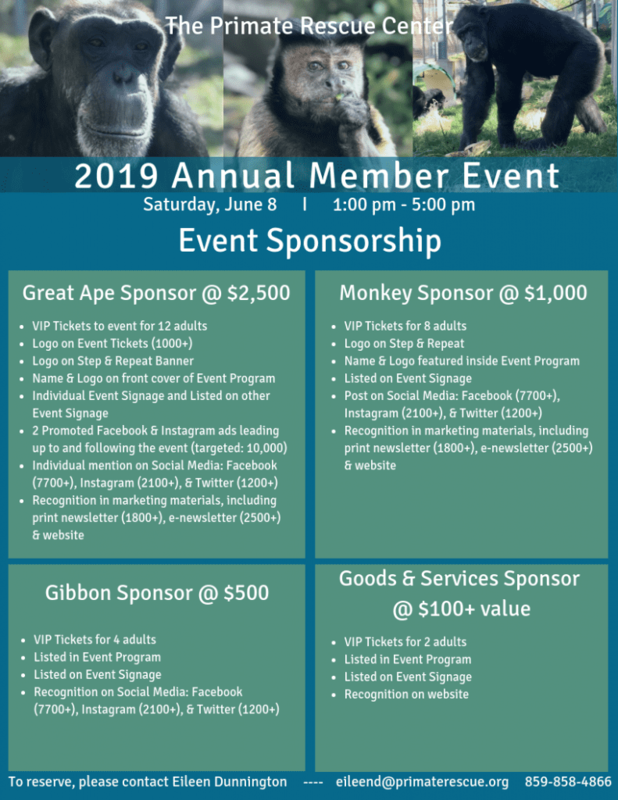 This is a great opportunity to help support the amazing primates at the PRC, while also showcasing your business or products to the guests at our event. We are looking for companies and individuals who would like to sponsor our event held on June 8th, 2019. We need event sponsors as well as donated items and services for our silent auction and raffle. We always have a wide variety of items featured in our silent auction – from gift certificates and artwork, to hotel packages and primate-themed home décor- there’s something to appeal to everyone! Our raffle features gift cards/certificates, as well as unique items from local businesses. We hope you will support us in this worthy endeavor by contributing to our Annual Member Event to help us maximize our fundraising efforts. Most of the visitors to our event are local to Kentucky and the surrounding areas and represent the demographics of the region. We hope that businesses and individuals will see the benefit in not only supporting our sanctuary and mission but also increasing your own exposure and goodwill with the many individuals who will be visiting our sanctuary that afternoon.